The Trap Man Crayfish Traps are multi catch repeating traps that can catch lots of crayfish at a time without you having to reset the trap. 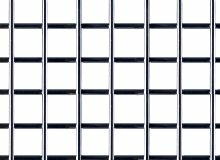 The Trap Man Crayfish Traps are multi catch repeating traps that can catch lots of crayfish at a time without you having to reset the trap. The one way funnel design of the trap leads the crayfish in, and it's impossible for them to get out. The Trap Man Crayfish Traps should be placed in the water near the bank with the entrance of the traps facing downstream. 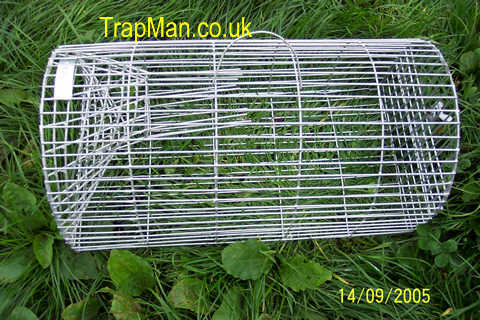 It may be necessary to secure the traps with bolder's or tie them to something imovable.The Trap Man crayfish traps should be baited using meat , fish or tinned cat food. Dimensions 18 " x 7" x 9"
The hinged door is released by pushing up on the clip, empty the captured crayfish into a bucket of water.